Following the evacuation of Sir John Moore's army from La Coruña in January 1809, French armies under Soult and Victor were apparently free to retake Lisbon. In the event, by the time Wellesley returned to the Portuguese capital on 22nd April to take command of a new British expeditionary force, Soult had progressed no further south than the Vouga river, halfway between Coimbra and Porto, while Victor remained at Mérida, 270km east of Lisbon. Wellesley was quick to seize the opportunity to attack Soult before turning to confront Victor. With a combined British-Portuguese army of 36,000 men at his command, Wellesley split his force into three: 12,000 were left behind under Mackenzie's command to protect Lisbon, 6,000 were handed to Beresford with orders to prevent Soult from retiring towards Victor, while Wellesley led the remaining 18,000 north from Coimbra to face Soult. Although Wellesley's two-pronged attack at Albergia-a-Nova and, by boat, at Ovar on 10th May failed in its design to trap at least part of the French army, the enemy was compelled to retreat towards Porto. On the night of 11th/12th May, the French pulled back completely across the Douro, blowing the bridge of boats that connected Vila Nova de Gaia and Porto at 2am on the 12th. Throughout the night of 11th/12th May, Soult made plans for a staged and orderly withdrawal of his 13,000-strong army from Porto. 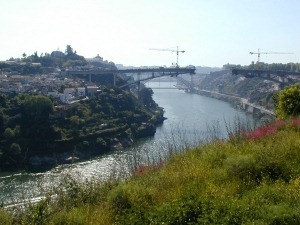 He saw little reason to make haste, firm in the belief that Wellesley could only cross the Douro downstream of Porto, having first brought boats up the coast from Ovar. His troops were deployed accordingly to the west of the city. As British troops streamed into Vila Nova de Gaia on the morning of 12th May, Wellesley surveyed the French dispositions from the grounds of the convent Mosteiro da Nossa Serra do Pilar. Before long he had received two encouraging reports from scouts sent out earlier to scour the south shore. The first was news of a large ferry boat found 5km upstream at Avintes; although the boat had been damaged by the French, it could be repaired and put into use in a short time. The second came from a colourful intelligence officer by the name of Colonel John Waters; a barber who had crossed from Porto in a skiff had told Waters of four wine barges that lay unguarded and undamaged on the north shore east of the city. Wellesley had already taken note of a large, isolated stone building that stood on the heights above the opposite bank of the river outside of the eastern suburbs of the city; this was the Bishop's Seminary and there was no sign that it has been garrisoned by the French. 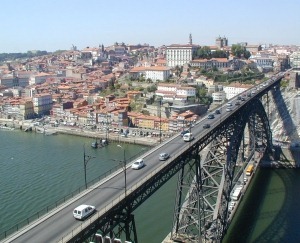 Above: View from the Mosteiro da Nossa Serra do Pilar across the Douro to Porto. 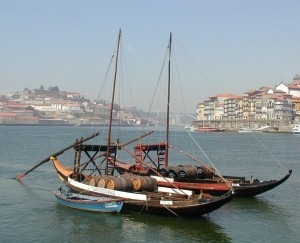 Above: Wine barges similar to those used by Hill's Brigade to cross the Douro. While a detached force led by Murray was sent to cross the Douro at Avintes, Waters crossed the river in the skiff accompanied by the barber, the Prior of Amarante (as a guide) and a number of local boatmen. The unlikely ensemble returned with the four barges and with confirmation that the seminary was unoccupied. With the words "Well, let the men cross", Wellesley now set in motion one of the most audacious moves of his military career. In the mid-morning, Hill's Brigade began to board the barges that would ferry them across the broad expanse of river in full daylight. Within a matter of minutes, a platoon of the Buffs (1/3rd Foot) had clambered up to the seminary and secured its iron gate. As more and more infantry reached the seminary, the building was gradually turned into a fortress. Furthermore, the approach roads to the seminary were within shrapnel range of three artillery batteries which Wellesley had positioned in the convent gardens. Even though the crossing point was out of sight of the majority of the French troops, it seems incredible that a full hour elapsed before the alarm was raised. By this time, some 600 British infantry had crossed the river. It was late in the morning before the first French attacks on the seminary were made by three battalions of the 17th Léger. Each was thrown back as those who made it through the hail of shrapnel were stopped by musket and rifle fire from the garden wall, windows and roof of the seminary. The British meanwhile continued to reinforce the bridgehead; the 2/66th and 2/48th were now following the 1/3rd across the river. 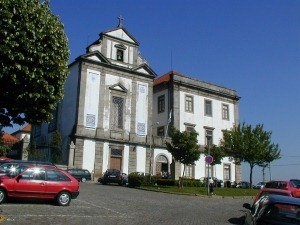 Above: The former Bishop's Seminary in the Largo do Padre Baltazar Guedes. Above: The view from the seminary across the Douro to the Mosteiro da Nossa Serra do Pilar. After a short lull in the fighting, three battalions of the 70th Line were thrown into ever-more desperate attacks on the seminary. Soult now let his tenuous grip on Porto slip away completely by withdrawing the troops that were guarding the quayside. Local boatmen immediately rushed to the river to take boats across to the south bank. In a short time, British infantry from the 29th Foot and Brigade of Guards were swarming up the steep streets into the heart of the city. Faced with the sudden threat of an overwhelming flank attack, Soult abandoned the assault on the seminary and ordered a general retreat from Porto along the road to Valongo. In the battle for Porto, the French had lost around 300 killed or wounded, with almost as many again taken prisoner. More than 1,500 sick and wounded had been left in the city's hospitals, and some 70 guns had been abandoned. British losses amounted to just 123 killed, wounded or missing. The impact of Wellesley's spectacular success at Porto could have been greater still had Murray - having crossed the Douro at Avintes - made any attempt to intercept the retreating French army. In the event, Wellesley could do no more than pursue Soult as far as the border with Spain. By this time, news that Victor's army was on the move dictated that Wellesley should turn south. From central Porto cross the Douro by the upper level of the Ponte Luís I (by car if you must, but the walk affords wonderful views). At the traffic lights 250m distance from the end of the bridge turn left onto the Rua de Rodrigues de Freitas then immediately left again (signposted Monumento) onto Rampa do Infante Santo. The narrow drive leads uphill to the Mosteiro da Nossa Serra do Pilar. This is a fine point from which to view the city of Porto. The Ponte Luís I stands on the site of the bridge of boats that was blown on the night of 11th/12th May. To reach the former Bishop's Seminary, we followed the Rua de São Vitor directly down to the small square called Largo do Padre Baltazar Guedes. The former seminary, now an orphanage, dominates the square. Follow the line of the Rua de São Vitor below the level of the square and round to the south face of the orphanage where a commemorative plaque can be seen at the west end. There are views over the river from here towards the promontory where Wellington sited his artillery and towards the bay from where Hill's Brigade embarked. Those of an adventurous nature may venture a little further along the south face to find the steps up which the British infantry scrambled to reach the seminary. "A History of the Peninsular War, Volume II" by Sir Charles Oman, published by Greenhill Books 1995, ISBN 1853672157. "Wellington's Peninsular War" by Julian Paget, published by Pen & Sword 1992, ISBN 0850526035. "Wellington in the Peninsula 1808-1814" by Jac Weller, published by Greenhill Books 1999, ISBN 1853673811. 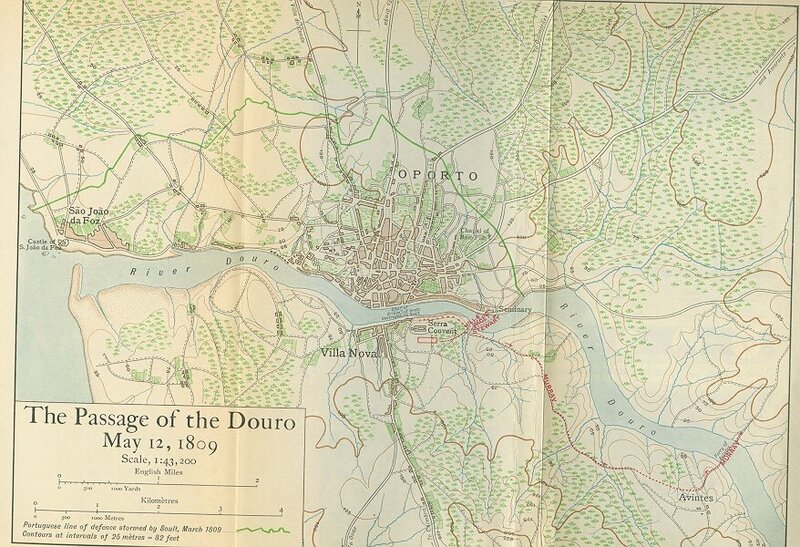 Map of the Crossing of the Douro courtesy of The Napoleon Series. Charles O'Malley's personal account of the crossing of the Douro courtesy of the Internet Modern History Sourcebook.